Description: Heavy cast iron octagonal knobs, usually used as gate furniture. 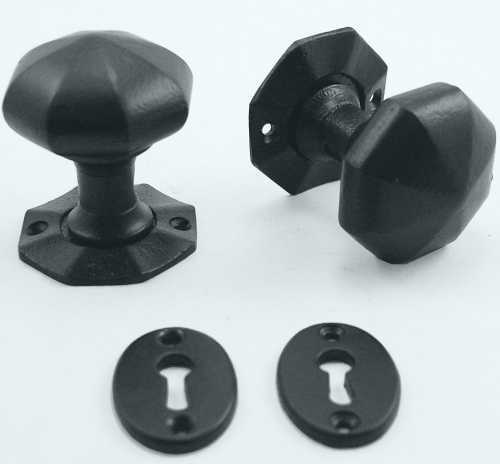 Fixings: Supplied as set of 2 knobs, spindle and fixing screws, and 2 oval escutcheons. Sizes: 57mm knob, 57mm rose.